Fisher-Price Imaginext Ultra T-Rex Just $65! Down From $100! You are here: Home / Great Deals / Amazon Deals / Fisher-Price Imaginext Ultra T-Rex Just $65! Down From $100! Amazon has this Fisher-Price Imaginext Ultra T-Rex for just $65 (Reg. $100)! 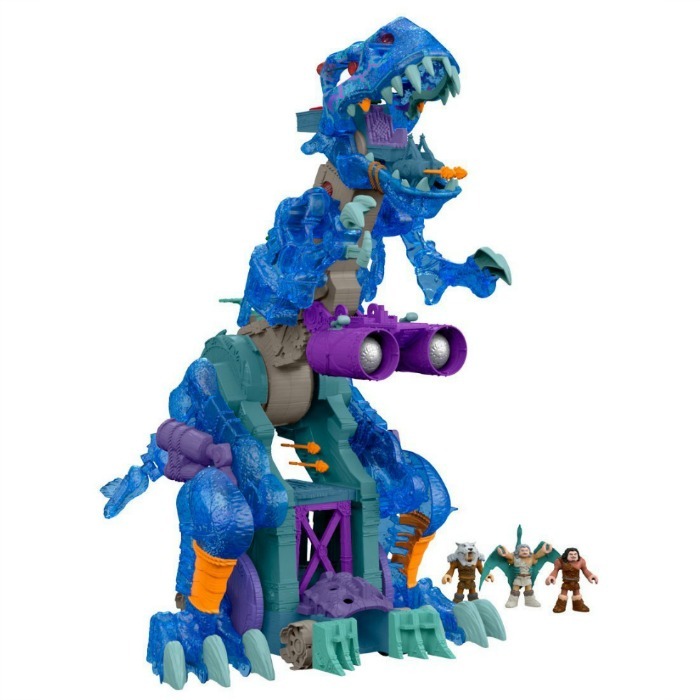 The Imaginext Ultra Ice Dino is big, bony and the coolest dinosaur ever for creating epic prehistoric adventures! By turning Power Pads, kids can get him walking, standing, chomping, firing arrows and launching ice bombs – all with realistic sound effects and light-up LEDs in his spikes and eyes. This ‘king’ of the dinosaurs is sure to rule over any Ice Age enemy – and every toy in your little dino lover’s collection!